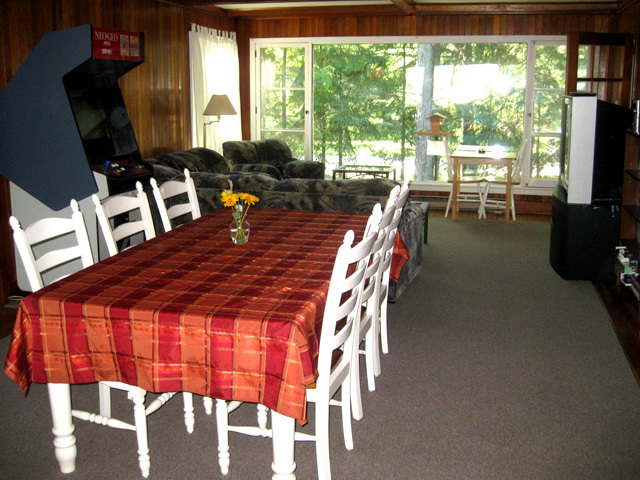 Book Robin's Nest and PARK FREE at beach parking lots for the duration of your stay. Call 1-800-370-2420 to book it now. This accommodation in Wasaga Beach is absolutely fantastic! We stayed in this spacious open concept rental for almost a month while my husband was stationed at Base Borden. We found it to be very clean, comfortable, quiet and well equipped with everything that we needed! The owners are very friendly and they were always available by phone if we had any questions. We would highly recommend this accommodation to anyone visiting Wasaga Beach! We had a fabulous time, the place was so beautiful we didn't want to leave. We all wished we could have stayed another day. We felt you were so organized with all the movies, TV, DVD, Foosball etc, etc. We were also impressed with the layout of the place it truly felt like home. We would defnitely stay at your place again. We spent a few days over the holidays at this lovely comfortable cottage. We were impressed at how well equipped the cottage was. It was well located for winter activities. We would definitely look at staying here again! !